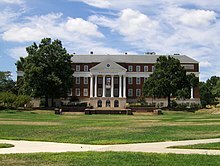 ^ "College Park, MD Factsheet". United States Census Bureau. Retrieved 2009-09-15. ^ M-NCPPC Illustrated Inventory of Historic Sites: Prince George's County, Maryland (Prince George's County, Maryland), 2006. A Guide to the City of College Park, from the College Park City Hall.